Everyone's doing a book wrap up for the year, so here's goes. I reviewed 70 books but must have read over 100! This year I started to read romances and more general women's fiction, adding these to the mysteries I normally read. I also reviewed self-help books and a cookbook or two. A good mix of genres for 2010! I have starred * the ones I really, really like, though I liked them all! Thirsty: A Novel by Kristin Bair O'Keefe, fiction. What does your list look like this year? About the Author: Elaine B. Fischel was born in New York. The end of WWII found her working in Tokyo for two-and-a-half years at the trial of the 28 accused Japanese war criminals. General Douglas MacArthur, the leader of the Occupation, recruited American lawyers to defend the fallen leaders to insure that history would say this was a "fair trial." Elaine's assignment to the Defense enabled her to interact with the fallen leaders... and with military leaders, diplomats, the Japanese royal family, and Japanese citizens from all walks of life. When the trial was over, Fischel returned home and attended the University of Southern California School of Law. She went on to practice law for 57 years. (Book description). 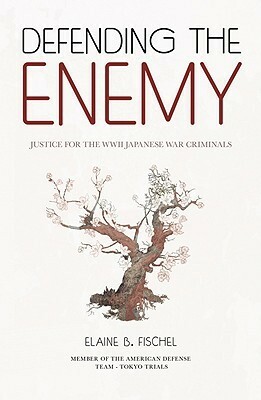 Defending the Enemy is an eyewitness account of an extraordinary time in America's history - the "Tokyo Trials." From 1946-48, Fischel worked in Tokyo alongside the American attorneys assigned to defend the Japanese war criminals held responsible for the torture and deaths of millions of civilians and prisoners of war. 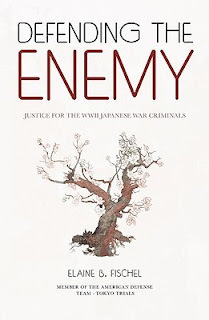 She recounts the post-WWII transition in Japan to the country's occupation by their former enemy, and the subsequent surprise on the part of the Japanese citizenry that the U.S. allegiance to democracy meant providing a fair trial even to the men considered the most evil perpetrators of atrocities. In letters to her family at the time, the author as a young woman tries to explain her ...(interactions) with the defendants and her own surprise at the growing fondness she felt for many of the "villains" of WWII - particularly premier and general Hideki Tojo. Fischel interweaves the ... trial alongside her tales of travel throughout Japan, her social engagements with high-ranking military and civilians, and her unique enduring relationships, such as her friendship with Emperor Hirohito's brother, Prince Takamatsu. In doing so, Fischel illuminates the paradoxes inherent during this period in history. My comments: I was fascinated by the title of the book, the chance to read an inside and personal account of this period in American and Japanese history. I found a few gems, including the author's questioning the role of Russia as one of the countries involved in the Tokyo Trials against Japan. Russia was an ally of Japan until just before the end of the war and was involved in the deaths of hundreds if not thousands of Chinese in Manchuria, yet was invited to sit in trial against Japan but not as a defender itself in war crimes. Another gem was her account of General Tojo's testimony as the number one war criminal at the trials. Some of the top level war crime defendants, the A-level group, said as part of their defense that they had no personal involvement in the atrocities committed during the war and lay blame for military aggression on military cliques and on the Japanese Navy. I admit I am not a historian and don't have knowledge of the facts outside of Fischel's book, though many of these historical accounts of the Tokyo Trials exist. I can understand her wish to leave a detailed account of her experience with the defense team as a legal stenographer. I think her book is valuable as a part of the history of the proceedings, from a personal point of view. Fischel has included numerous newspaper accounts of the trial, personal letters written to her by the defendants, their relatives, and many other people involved. Letters include some from the Emperor's brother, Prince Takamatsu, who was not a part of the trials. Historians of the period would find her book a useful addition to the body of work that already exists. General readers will find it interesting and controversial at the same time. I cannot accurately rate the historical value of her account, but from a general reader's point of view, I would give her book a 4.5 out of 5 stars. A thriller, Mr. Hooligan by Ian Vasquez, Dec. 7, 2010. Voltaire's Calligrapher: A Novel by Pablo De Santis, Oct. 1, 2010. Zero Day: A Novel by Mark Russinovich, March. 15, 2011, a thriller. A Lonely Death: An Inspector Ian Rutledge Mystery (Inspector Ian Rutledge Mysteries) by Charles Todd, Jan. 1, 2011. A Heartbeat Away by Michael Palmer, Feb. 15, 2011, a thriller. The Tapestry Shop (Five Star Expressions) by Joye Elson Moore, Oct. 15, 2010. I'm way behind for some of these ARCs already published this year! Have to apologize to the authors/publishers, catch up, and get to the ones to be published 2011! These books are also competing with the ones downloaded on my new Kindle. I'm in the middle of War and Peace , Kindle edition, and admit I am skimming through the War sections and concentrating more on the Peace sections of this long novel. Otherwise, I'd never finish. The above reads are now my New Year's Resolutions. What are yours? Goodreads book description: "With elaborate French cultural atmosphere, author Susanne Alleyn has created a sophisticated and stylish mystery set in the uneasy and turbulent years between the Terror and the rise of Napoleon." "Paris, 1796. Aristide Ravel, freelance undercover police agent and investigator, is confronted with a double murder in a fashionable apartment. The victims prove to be Célie Montereau, the daughter of a wealthy and influential family, and the man who was blackmailing her." *Link it to host Freda's Voice, here. "To stay alive here, you have to fight every day!" the man told Nathan. Pump Up Your Book Promotions is hosting author Stephanie Vlahov through Dec. 17. Author's introduction: " I am writing this book for everyone out there who has a child whom they clearly adore but often do not understand. There is a huge population of active/creative children who are going to make this world a better place....Active/creative children are often misunderstood by the medical community, by schools and by their own parents." Comments: Lucky are the children who are allowed to develop and flourish in spite of behavior that may seem disruptive to others. Vlahov helps to guide parents into a new way of looking at active children with creative urges and channeling their energies constructively. Highly recommended for those at their wits end coping with children who, as Vlahov puts it, will give you a "life of high drama." Highly recommended for parents and teachers! About the author: Stephanie Vlahov has an M.S. in psychology and theater arts and has used her background and experience to write this book on parenting energetic children, children whose creative urges put their behavior outside the "average" norm. Many of these children could also be mislabeled as having an attention deficit disorder. - "The active/creative child will continually get into things, will march to the tune of a different drummer." - "The active/creative child is often labeled as having Attention Deficit Disorder (ADD)"
- "Expect differences and heightened awareness." - "Appreciate and train your child's high verbal ability." There is an index at the back of the book as well as a list of recommended reading. Click here for more information on the book and author, Stephanie Vlahov. Poems by Liu Xiaobo, and "Your Lifelong Prisoner"
Click on the titles to read the poems. It rained last night and into the morning, but that has all turned into a softly falling snow. It's rather nice, since I did chores yesterday and can stay in! I'm in the middle of reading a great library find, World and Town: A Novel by Gish Jen (Oct. 5, 2010). It's about the scientist daughter of a missionary born in China and her helping a Cambodian family, fairly new immigrants in California. Her own life story and love life weaves into the story of the Cambodians, trying to fit into American life in a small town in the northwest. I am way behind in reading and reviewing books I promised authors and publicists to do, and vow to do better in the coming year, when I hope to read all that are now piled up in my basement library/office. Happily, my long list of health appointments has almost all been checked off. I completed eye surgery, a root canal, and a sleep study. Two more specialists to see in the new year! My Christmas gift to myself was a Kindle. I have downloaded quite a few of the classics - Dickens, Jane Austen, Henry James, Dostoevsky, Tolstoy, The Iliad , the Odyssey, The Art of War , the sayings of Confucius, the Dream of the Red Chamber , and a few mystery novels. Most of the books are free! Some cost $1 or less and a few are $2.99. Two classics I've started to re-read are War and Peace and Pride and Prejudice. I would not have even tried it except for having the books so available on the Kindle! So there's a positive! 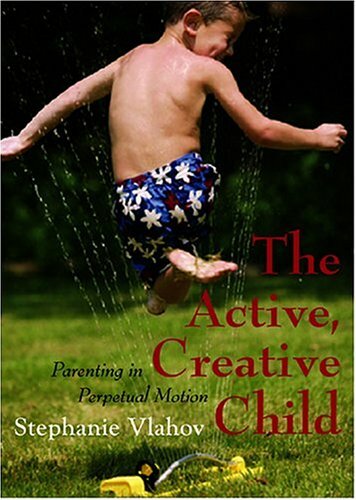 I'm doing a blog tour on Dec. 16 for The Active, Creative Child: Parenting in Perpetual Motion by Stephanie D. Vlahov. Come back then for a look and some ideas on how to give your creative child the best guidance! The snow is still falling, and it is pretty. The first significant snowfall of the season! Have a great week!